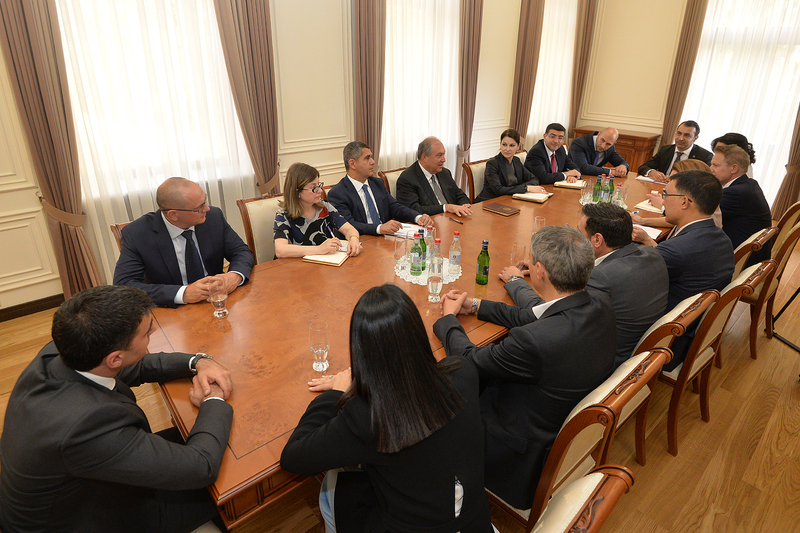 President Armen Sarkissian received today representatives of the European Business Association in Armenia. 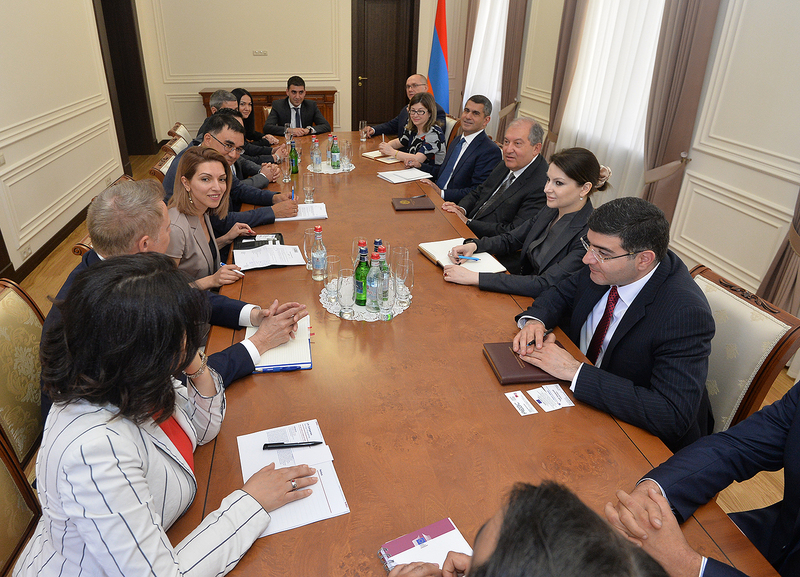 The guests presented to Armen Sarkissian their activities and programs and noted that these are directed mainly at the expansion and development of European business in Armenia, encouragement of foreign investments, and creation of a favorable business climate. 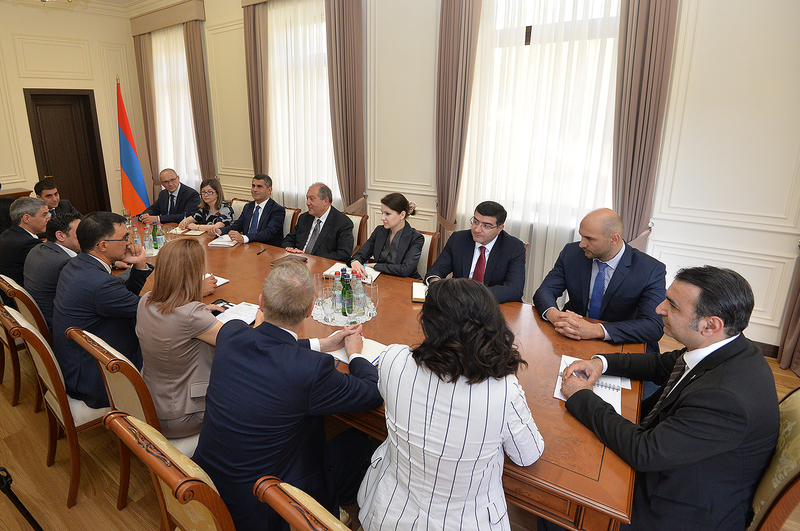 At the meeting discussed were issues related to the invigoration of business ties with European countries, making the economic area more attractive for investments. Stressed was the importance of upholding the rule of law, fight against corruption and encouragement of healthy competition.